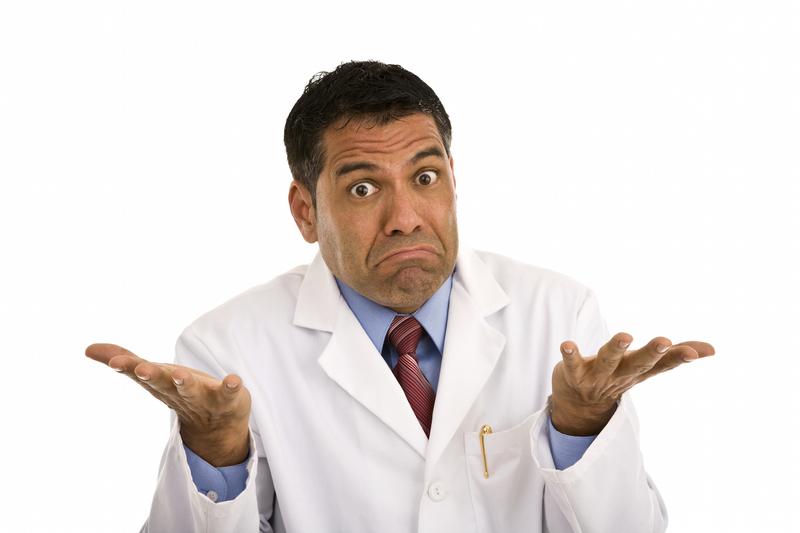 Home»Business»Medical Trade»Who Knows More—Parents or the Doctor? Who Knows More—Parents or the Doctor? Even experienced doctors don’t know what it’s like to be a parent to YOUR child. They don’t know what is typical for your child’s behavior or when something is out of the ordinary. And medical researchers and policy-makers are creating laws and standards for children they will never meet or have to care for if something goes wrong. When it comes to the technical aspects of medicine that affect your child, the doctor is the one with formal training and experience. This is why we go to doctors for advice: we assume doctors always know best. Or do they? Is there a particular circumstance where parents may know more? To put it a different way, are there times where a parent’s knowledge of their child should carry more weight than what the doctor thinks or says? Yes. In every medical decision that is made for a child, parents always know their own individual child better than any doctor ever will. A doctor may see that child for 10 minutes a few times a year, but parents are around 24 hours a day, seven days a week. The doctor may know medicine: but YOU know your child. Robert De Niro recently spoke out on the Today Show about his role as a parent in medical decision-making. And he included a controversial topic—vaccines. He emphasized that he isn’t against vaccines, but thinks people should be able to talk about vaccine safety. In fact, he, like many other prominent educators, medical professionals, and researchers, wants America to have this conversation openly. And it seems we’ve come to a point where the parent’s concerns don’t hold any weight. Parents have been consistently dismissed by their pediatricians, the media, and the medical community as not having a worthwhile opinion since they lack a medical degree—or worse yet, go against the norm on this topic. But aren’t parents really the experts when it comes to their own children? And isn’t the well-being of the child the parent’s primary concern? It’s hard to understand what it’s like to be a parent if you don’t have kids. Young adults, whether in the medical field or not, don’t grasp it. They are book-trained and idealistic, and certain they know everything. Even experienced doctors don’t know what it’s like to be a parent to YOUR child. They don’t know what is typical for your child’s behavior or when something is out of the ordinary. And medical researchers and policy-makers are creating laws and standards for children they will never meet or have to care for if something goes wrong. All medical decisions for your family are ultimately up to you and no one else, because nobody is as qualified as you are when it comes to the health and well-being of your child. Doctors are considered to be experts in their field, but they don’t always value the parent as a partner in medical decisions. Vaccines begin with an honest discussion. That’s all. Asking questions doesn’t make you anti-vaccination; it makes you a concerned parent. Be willing to have the conversation. Note: The article was reprinted with permission. It was originally published by the Immunity Education Group—a community of medical and legal professionals, businesspersons, educators, journalists, and advocates who are passionate about immunity education and the right to informed consent. One Response to "Who Knows More—Parents or the Doctor?" Unfortunately, the title M. D. does NOT mean Medical Deity and far too many doctors forget this and assume the role of the “Almighty”. While they do go to medical school and receive training, it does NOT automatically follow a doctor really KNOWS anything outside his or her “training”. A doctor’s training was decided at the beginning of the 1900’s when John D Rockefeller charged Abraham Flexner with the task of writing a report (1910) on the current status of medical education. Rockefeller himself refused standard medicine treatments and instead only allowed homeopathic doctors treat him. However, after the Report, he changed his mind and thus, all his funding went into what is now called “standard” medicine. Flexner found many discrepancies in homeopathic medicine – many schools of thought competing with each other – the in fighting led to homeopathic medicines demise along with the newly founded AMA which had in its original charter, the removal of all schools not agreeing with the AMA. See Harris Coulter’s excellent book, “Divided Legacy” – fully documented and the best book on the history of medicine in America. During a doctor’s training & education they are continually told every other form of healing, especially herbs, minerals, vitamins etc, are worthless and does harm, all-the-while extolling surgery, drugs and radiation therapies. This brainwashing of young minds includes discussion of how a parent is ignorant of medicine and their own child and instills in doctors an arrogance and know-it-all attitude. Some break free of this stupidity but most never do. The university close by to me sends me their 1st year med students to see what I do with acupuncture and nutrition. While it may seem a novel way to introduce med students to the world of alternative medicine, they soon forget it down the road, unless they take an elective course in nutrition. An elective – can you believe that? Nutrition should be the foundation of every doctor’s education from day 1. Since the pharmaceutical industry cannot patent and charge exorbitant prices on natural remedies, mums the word in med school. When you have corrupt people in high level government positions it makes everything else meaningless. Draining the swamp is essential in ALL government agencies. What is more, those agencies need to follow the Constitution which does not allow federal agencies jurisdiction outside of the 10-mile square known as Washington DC.